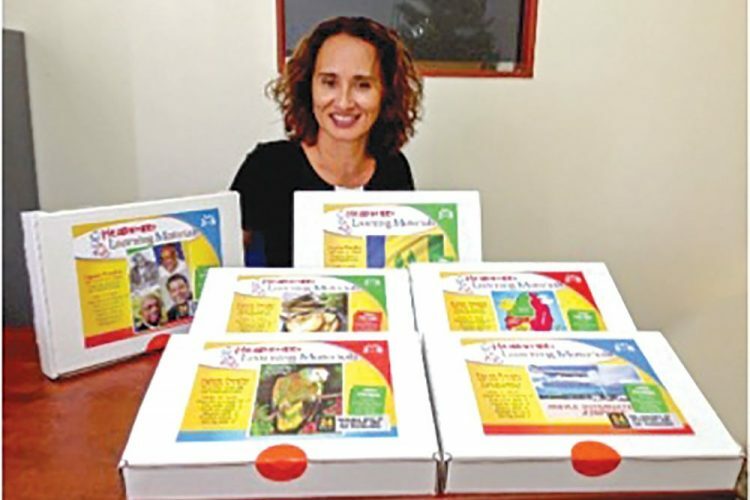 Lavinia Francis, the owner and principal of the Headstart Pre-school, has launched a line of educational material. In October, at her annual Independence exhibition, Francis gave her students and their parents a sneak preview of the Independence puzzle line. She solicited the expertise of OSV and is working hand in hand with Steven Veira and Andre Sutherland of that company. To date, they have been able to deliver important elements of the project on time, these being durability, aesthetically pleasing labelling and timely delivery of the finished product. The first project, which was the Independence puzzles, were done on PVC, which makes them very durable. Francis said she has always dreamt of producing her own educational material. She also stressed that her support system at home, her husband, children and a few very close friends, encouraged her to push on with this project. Francis said that in 2018, she hopes to have three more projects launched, dealing with fine motor development and language development for children between the ages of two and seven. The educational material packages are available at the Headstart Pre-school, Villa/Fountain Road.